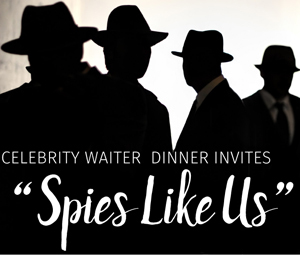 Celebrity Waiter Dinner Invites "Spies Like Us"
The 2018 SCV Senior Center Celebrity Waiter dinner is well on its way to filling the main dining room of the Sand Canyon Country Club when this year's event takes place on Saturday, March 3. This year's theme is "Spies Like Us: A Mission to Remember," and the first table sponsors have already selected such popular themes as James Bond, Charlie's Angels, Pink Panther, Get Smart, Austin Powers, North by Northwest, Heroes & Villains and Spy vs. Spy. "We're so excited to support our local senior community with this FUN, VIBRANT EVENT! Every penny raised will directly benefit the Senior Center's vital programs that improve lives socially, physically, health wise and more. We're very grateful for the community's support!" 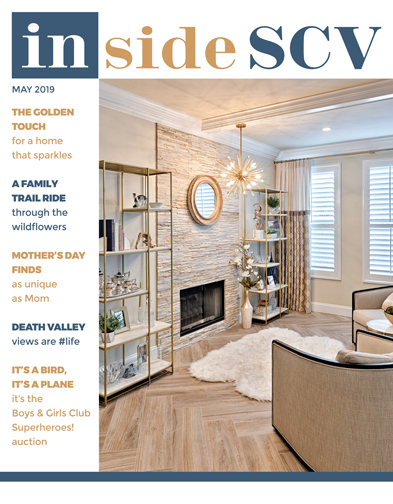 The event, featuring sponsors like Santa Clarita Advanced Dentistry, Advanced Audiology, Henry Mayo Newhall Hospital and more, is a total blast! In addition to seating 10 guests, table sponsorships many include such extras as wine, VIP table location and on-screen sponsor listings during the event, depending on sponsorship level. Sponsors can provide their own "celebrity" waiter or request the committee to provide a waiter. Sponsors who decorate their tables for their theme and guests who arrive in costume add to the festive air of the event. Guests also can purchase scrip, used to tip their waiter for zany antics or exceptional service. The waiter who receives the most tips receives the Stanley Award, which goes to the "favorite waiter" at the end of the evening. Some waiters are already holding their own pre-event fundraising activities, which they can use to apply toward the Favorite Waiter award. The event has an ambitious fundraising goal of $100,000 net. Proceeds from this annual event support programs like the Senior Center's home delivered meals for homebound seniors, respite day care, the handyworker program, hosted recreational, educational and support group activities and supportive services, according to event co-chairs Tony Watson and Kelly Smudde. 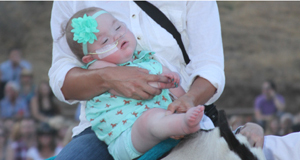 Meet Carousel Ranch's littlest rider, Lilly, who has been riding at the ranch since she was 3 months old. While still in the womb, doctors told Lilly's mom that she would be born with special needs. Those needs magnified when Lilly was diagnosed with Walker Warburg Syndrome, a form of muscular dystrophy with a very short lifespan. Her mom says, "Carousel Ranch has welcomed our family into theirs and now we don't know where we would be without them." Lilly has vision and hearing impairments, as well as muscle weakness. During lessons the goal is to keep her as strong as possible to fight the degenerative nature of her syndrome. Her instructors have seen improvement in her head and neck strength, vision, grasp and endurance. The horse's movement alone engages many of Lilly's muscles that are not typically engaged and challenged. "We are ecstatic Lilly has been able to get more than just repetition and exercise at the ranch," said her mom. "She gets love and encouragement." As for the family, they relay that they receive endless support and resources from the staff, volunteers and sponsors. "Lilly wasn't given the best odds, but I've seen her odds improve immensely every week because of this amazing place," offered Lilly's mom. Each year many children with special needs wait for the opportunity to improve their health and experience life at Carousel Ranch. The ranch is growing to serve more children and you can help them reach this goal by supporting their "Carousel Wishes & Valentine Kisses" annual giving campaign. Again this year, you can double the love thanks to the very generous offer by long-time ranch supporters Wayne and Dianne Crawford to match every dollar raised up to $25,000. That means every $10, $50, $100 and $500 donation becomes $20, $100, $200 and $1,000 for Carousel Ranch! Together, we can make a difference... one very special child at a time.